♦ Prices shown are applicable until 31st October 2019 but are subject to change without notice. ♦ Carts are NOT included in the rates shown above! 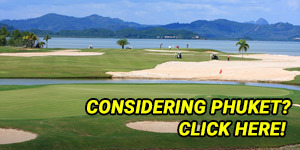 ♦ Cart rental is 700 baht/pax, payable at the pro shop. 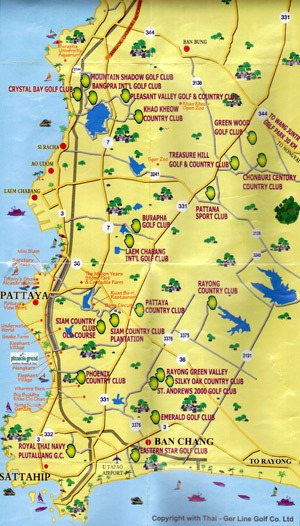 ♦ Caddies are compulsory on all of Pattaya's golf courses. ♦ The Caddy Fee is included in your golf package. ♦ Caddy tips are NOT included in your golf package. The golf club recommends a caddy tip from 300 baht payable to the caddy after the game. ♦ No sleeveless or collarless t-shirts allowed. ♦ No jeans, gym, or tennis shorts allowed. ♦ If a player has played over 1 hole & less than 9 holes a 9 hole green fee rain check will be provided. 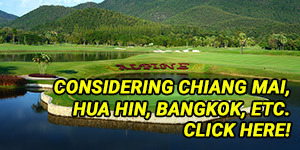 When you want to play one of the best value for money rounds of golf in the Pattaya region, the Parichat International Golf Links is a very popular choice. 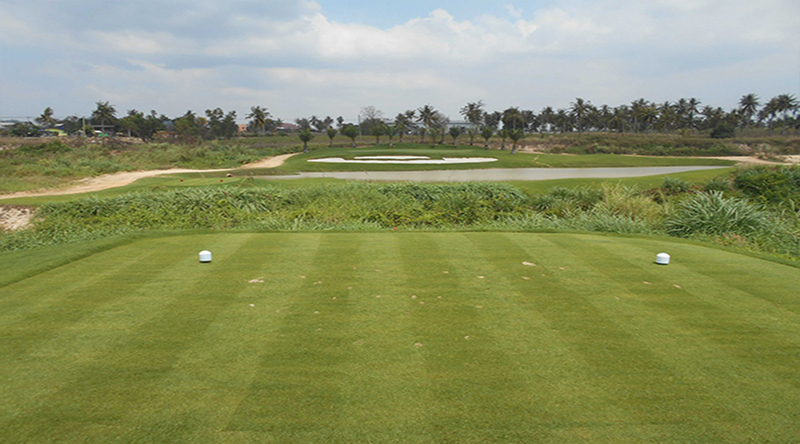 Located just a 30-minute drive from downtown Pattaya, this course is easy to reach and offers a challenge for golfers of all abilities. The course was first constructed in 2015, which makes it one of the newest courses in the region, and although it still needs some time to mature to reach its optimal best, it’s still a great experience. The course is set over 18-holes with the yardage of 6,600 yards. The tee-off location can be set-up with many options, giving the course a different feel every time you play here. Although the course is located inland, it does have a very distinctive links feel with gently rolling hills and burrows. 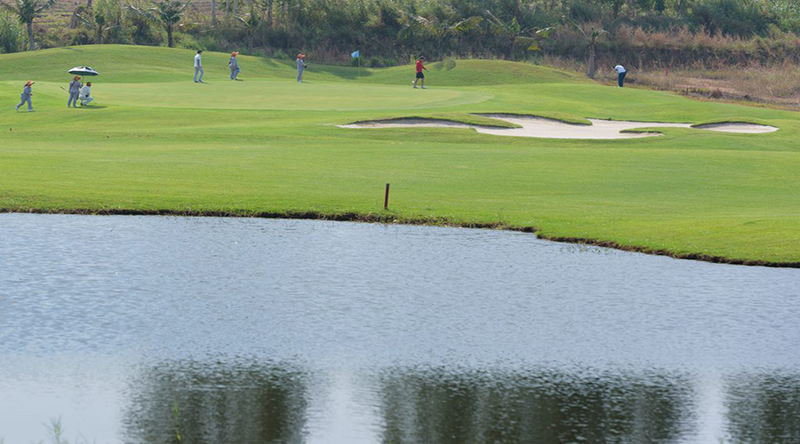 Water hazards come into play on many holes and are the course’s main defense system. One of the most challenging holes on the course is the par-4 17th holes, which is the longest par-4 on the course. The course has many long and narrow fairways, which means it is important to be driving straight. The clubhouse facilities at the course are still under construction, although at this time there is a temporary clubhouse. Carts on the course are mandatory. When you are looking to play somewhere new and unique during your Pattaya golf holiday, we would highly recommend the stunning Parichat International Golf Links for an interesting experience.